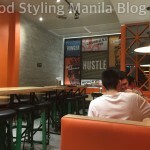 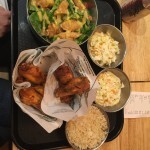 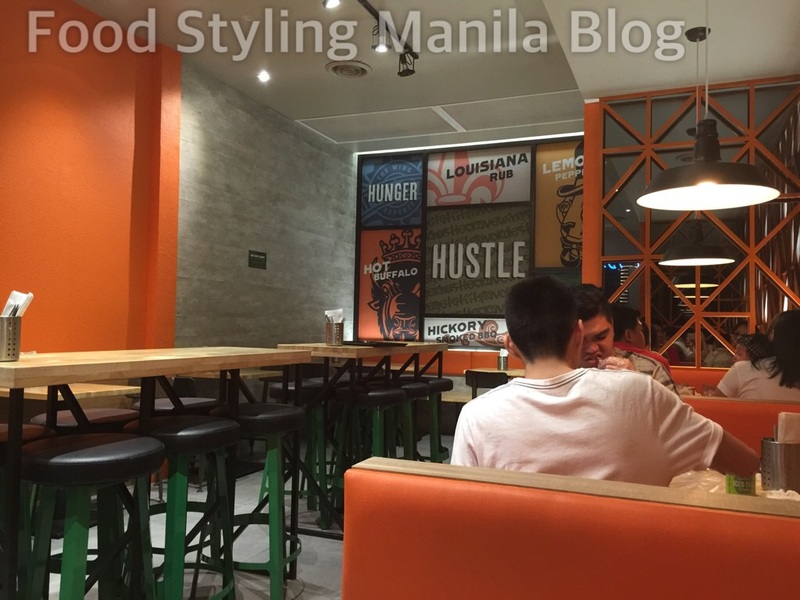 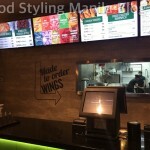 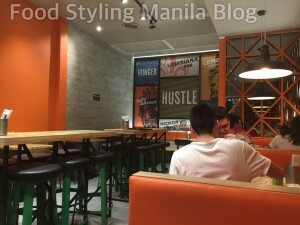 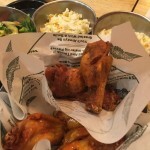 We recently ate in Wing Stop at Greenhills and was looking forward to their wings. 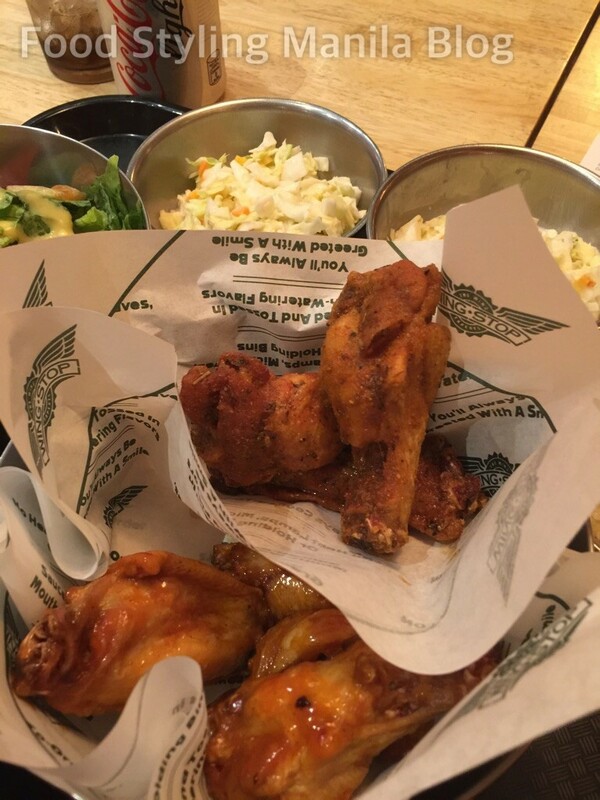 I only have one wing place in mind that hasn’t been beaten so far but I’ll reserve that for another entry since I didn’t take photos. We were going to have a quick dinner since we were catching a movie, unfortunately our food took 20 minutes to cook on a Monday which was not really full. 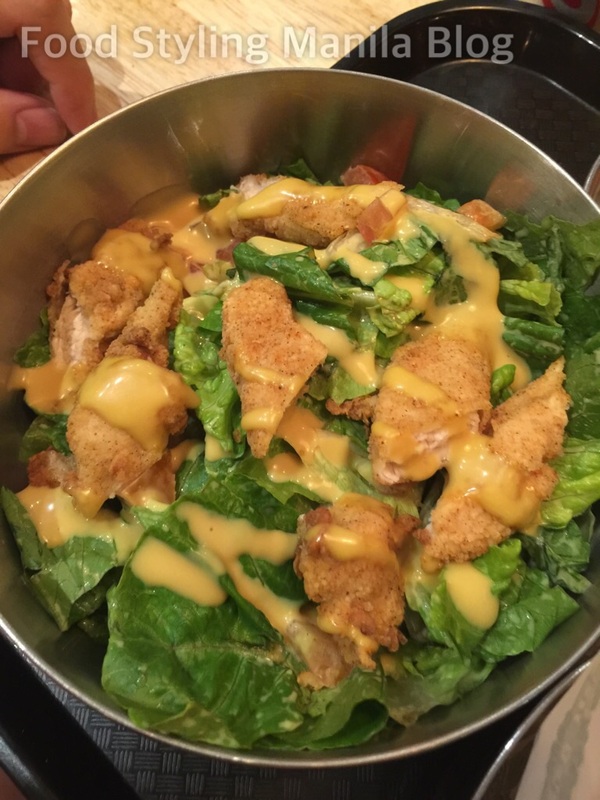 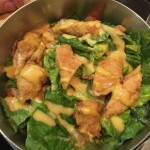 Salad – it was your typical romaine lettuce and packaged honey mustard sauce with a peppered fried chicken cutlet. 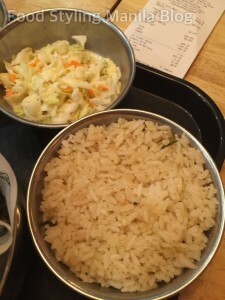 Chipotle Rice was smokey and had an herbal-lime finish. 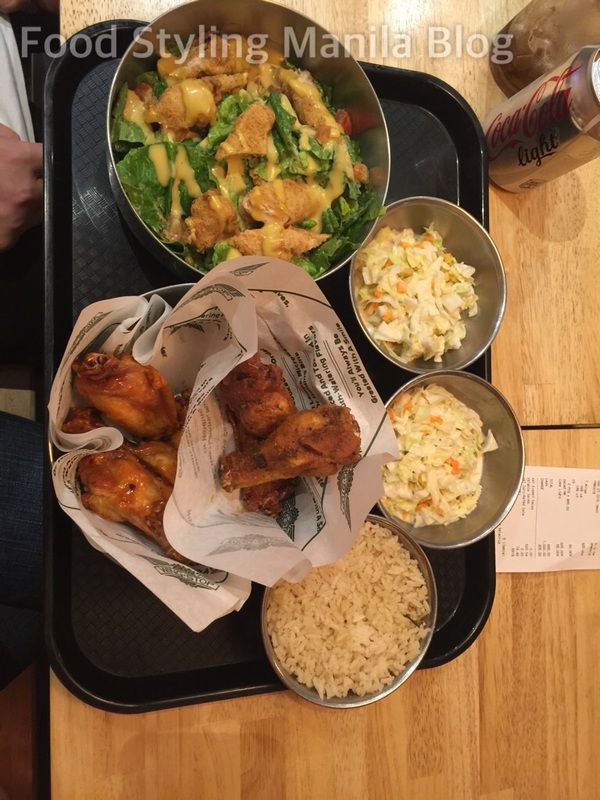 The Mango-Habanero is spicy, but I would’ve appreciated a little more tanginess because it lacks depth and it was just sweet and spicy. 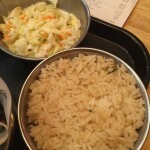 The coleslaw was flowery, I guess from the cabbage and carrots. 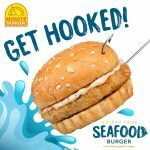 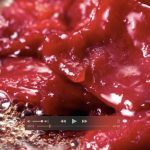 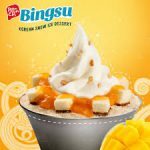 It was pretty okay and the place was clean, staff was courteous and well trained, I am not so sure if we ordered the wrong things though, it didn’t exactly blow my mind.